Spring greetings. I hope this newsletter finds you and your loved ones well. 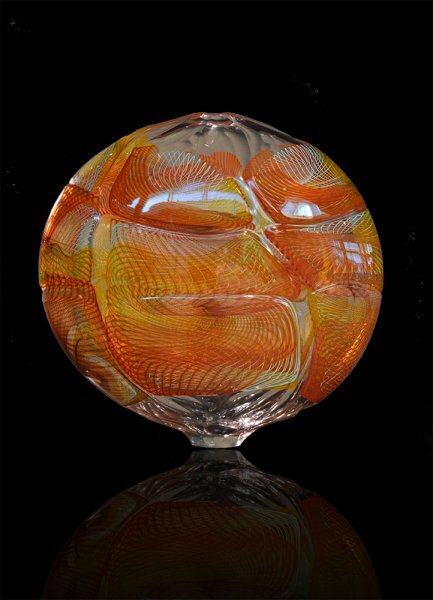 It’s a beautiful time of year and I have chosen some beautiful new glass art sculptures to share with you this month. I hope you enjoy viewing them and look forward to hearing from you with any questions or comments you may have. "If you treat glass right, it doesn’t crack. If you know the properties, you can make things; the color of dusk and night and love…"
This new Lino piece boasts intricate patterns of light and space. The round shape is the perfect form for this complex design. The swirly red and yellow lines seem to swim in a light-filled globe. 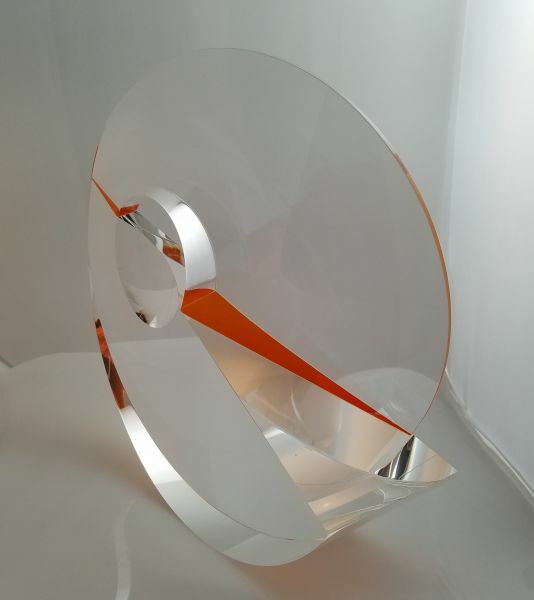 This new sculpture by Martin Rosol is dynamic and sophisticated in a subtle way. The piece changes its optics from every angle the viewer beholds it. You have to see this one in person to fully appreciate it. Please ask me if you would like to see more images. 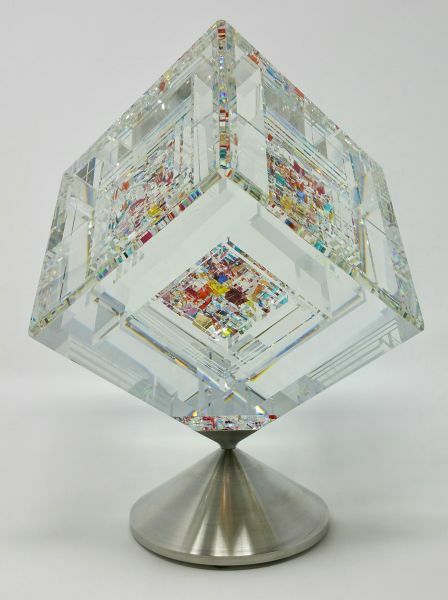 I love this new Cube by John Kuhn. As we turn this piece slowly on its base, the reflections, refractions and colors change from moment to moment. I also have a short video clip available of this piece which far surpasses any description I might offer. This stunning piece by Latchezar Boyadjiev feels to me as if it is about to take off in flight. This implied motion is unusual in a piece of cast glass. 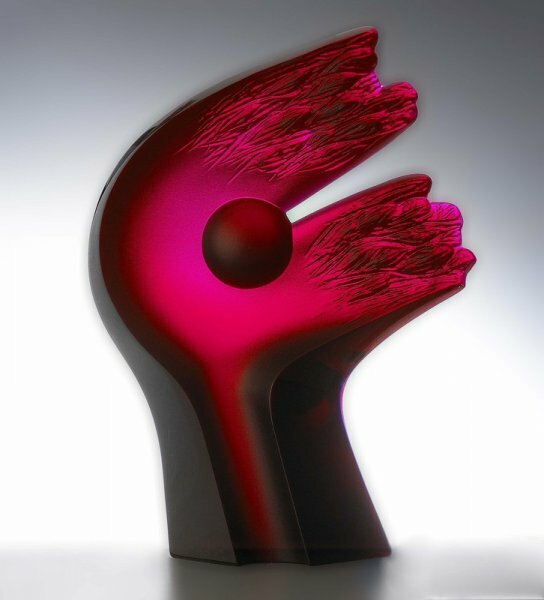 I love this particular shade of red and the translucency that is evident in this piece, particularly with backlighting. 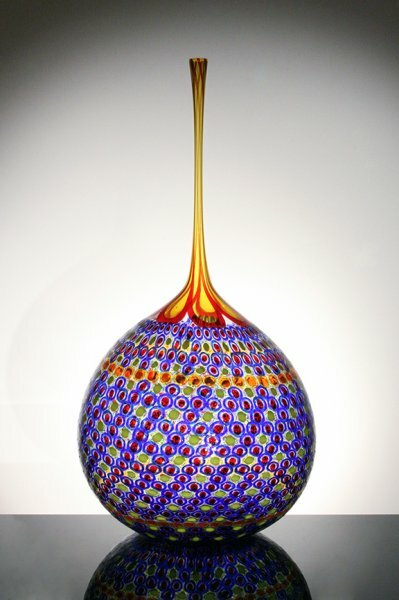 This blown glass sculpture by Stephen Powell is both bold and at the same time relatively understated in terms of some of his other creations. The multi-colored murini are set off perfectly by the elegant form. Thank you as always for taking a few moments to enjoy some beautiful works of art. I look forward to staying in touch.